There are many dog diseases caused by parasites. A parasite lives in a close relationship with another organism, its host in this case a dog, and causes it harm. The parasite is dependent on its host for its life functions. For example, viruses are common parasites. The parasite has to be in its host to live, grow, and multiply. Parasites rarely kill their hosts, but in some cases complications caused due to parasites can be fatal to a dog. 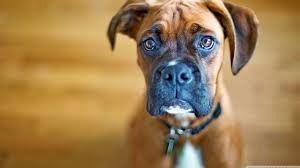 The following dog diseases are caused due to parasites in dogs, it is imperative that you provide a healthy parasite free environment for your dog to give it a long healthy life and if your pet is affected by parasites get treatment as soon as possible. Hookworms are a common parasite causing dog disease. Most common hookworm is Ancylostoma caninum, followed by Uncinaria stenocephala and A. braziliense. symptoms of hookworm in your dog include diarrhea, vomiting, and weight loss. Tapeworms are also common in dogs causing dog disease and in the dog are usually Dipylidium caninum, which is spread by ingesting fleas and lice. Also common is Taenia pisiformis, spread by ingesting rabbits and rodents. Rare tapeworm infections are caused by species of the genera Echinococcus, Mesocestoides, and Spirometra. There are usually no symptoms. Roundworms infecting and causing dog disease include Toxocara canis and Toxascaris leonina. Signs are usually mild, but may include diarrhea, pot-bellied appearance, poor growth, and vomiting. Fleas in dogs cause your dog to have itching on its skin and hair loss. The most common flea in dogs is the cat flea, followed by the dog flea. Ticks are an external parasite of the dog and can cause many dog diseases such as Lyme disease, Rocky Mountain spotted fever, babesiosis, and ehrlichiosis. They can also cause a neurological disorder known as tick paralysis. Heartworm disease in dogs is spread by mosquitoes and is spread by the parasite Dirofilaria immitis. symptoms of heart worm disease in dogs include cough, difficulty breathing, and death. Ear mites in dogs are microscopic members species. Symptoms of ear mite disease in dogs include itching, inflammation, and black debris in the ears. Chiggers, also known as harvest mites, they usually cause itching, redness and crusting in dogs. Mange in dogs include demodectic mange and sarcoptic mange. Demodectic mange is caused by Demodex canis. symptoms include hair loss, redness, and scaling, and is contagious to humans!. Sarcoptic mange is caused by Sarcoptes scabiei canis. Signs include intense itching and scaling, and is contagious to humans. Parasites can cause great harm to your dog and help spread different kind of dog diseases be vary of them and keep your dog free of parasites. Consult a vet if you see symptoms of any dog disease caused by parasites or if you notice the physical presence of parasites in your dog.